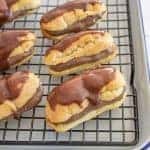 My husband loves eclairs and cream puffs, and I make them as a special treat for him! I posted this recipe years ago and thought it high time I updated it (and made him a batch of treats in the process). 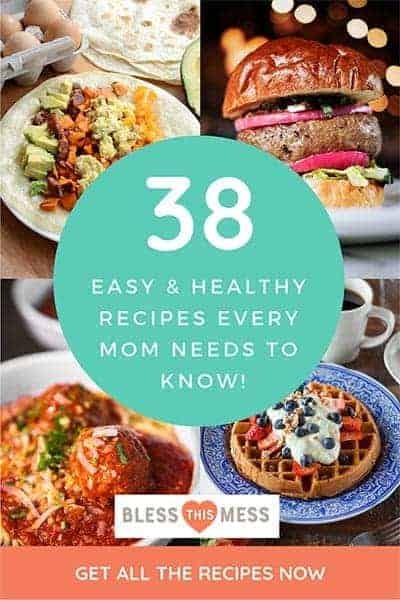 These take a little bit of time but none of the steps are terribly hard or complicated. I think the biggest thing is that it’s essentially three different recipes to make one dessert. It’s a process but the end result is delicious. 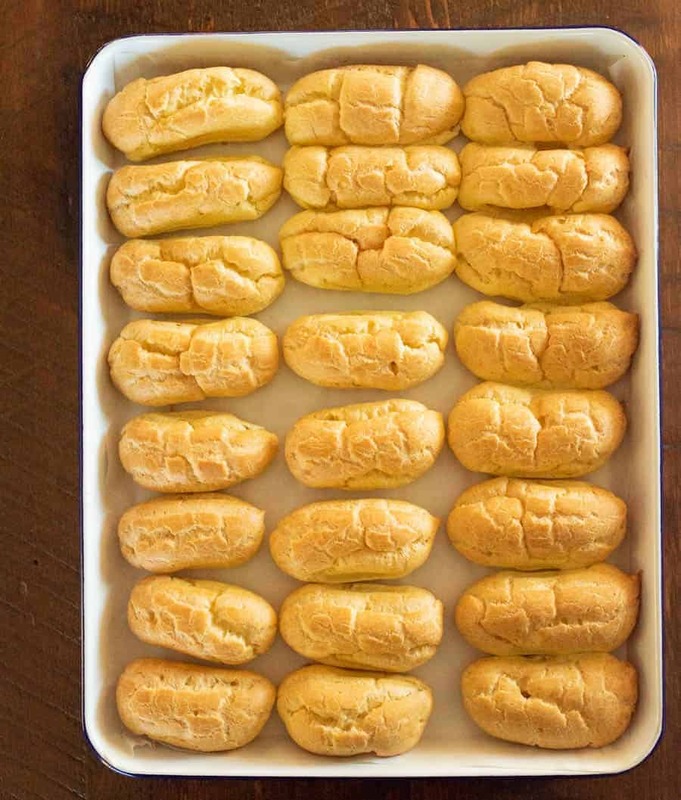 Have you ever made a Choux pastry, or pâte à choux, the dough used to make eclairs and other similar dishes? It’s nothing more than water, butter, flour, and eggs, but how you incorporate them makes all the difference. It’s very easy once you do it once, and you’ll be wondering why it took you so long to try it in the first place. 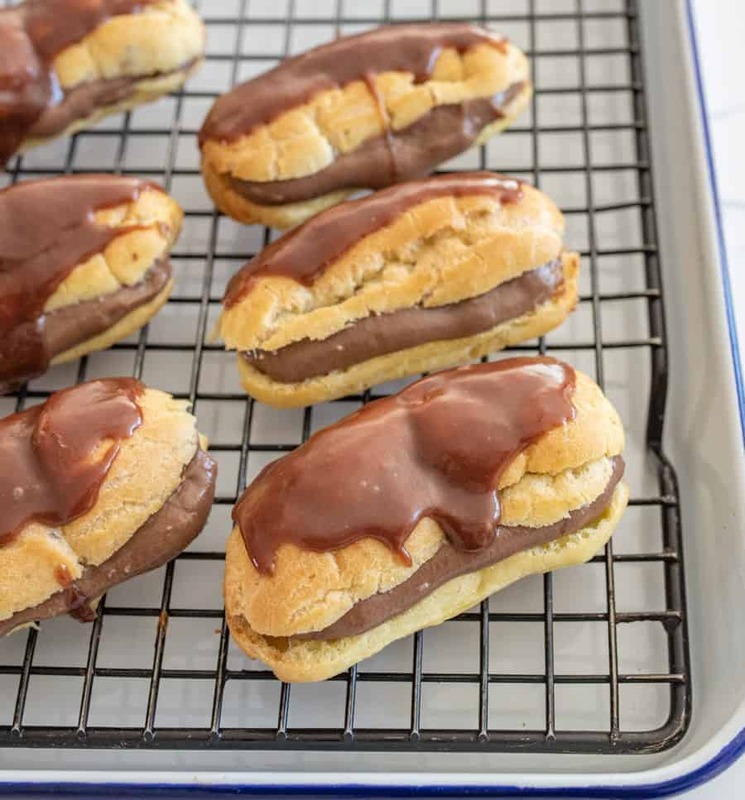 Because chocolate eclairs take a little while to make, I think of them as special occasion food. These would be perfect to make for Valentine’s day or a birthday to celebrate with something special. Don’t forget to let the flour and butter mixture rest for 5 minutes before adding the eggs. If you add the eggs while it’s too hot, they start to cook and you’ll get little chunks of scrambled egg in your finished dough. Not the goal. 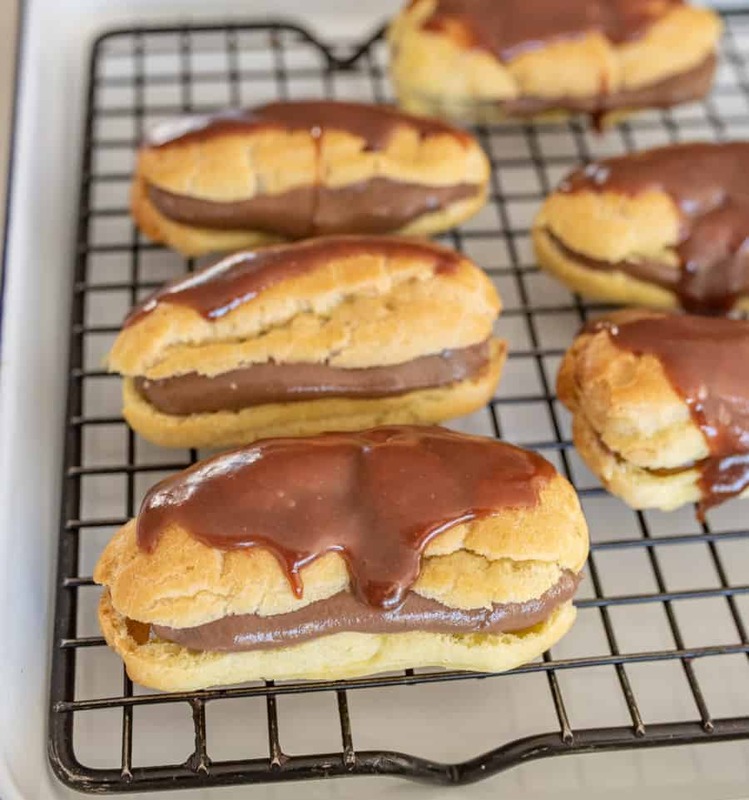 If you have a long metal tip for your piping bag (like one you would use to fill donuts) you can fill the eclairs from each end instead of splitting them open. That’s a fun option too and a little less messy when you are eating them. Not wanting to make the icing? No problem, skip it or dust them lightly with powdered sugar. What’s the difference between an eclair and a cream puff? Apart from shape, the main difference between a cream puff (which is round) and an eclair (which is oblong) is that you fill cream puffs with straight whipped cream and dust the tops with confectioners’ sugar instead of chocolate. 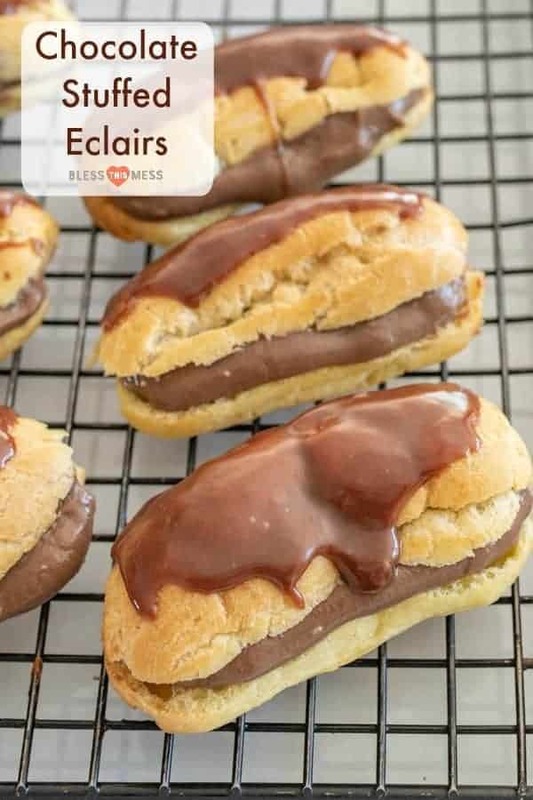 Eclairs are filled with pastry cream and topped with chocolate. 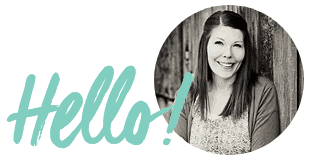 I hope these inspire you to try something new or make an old favorite! 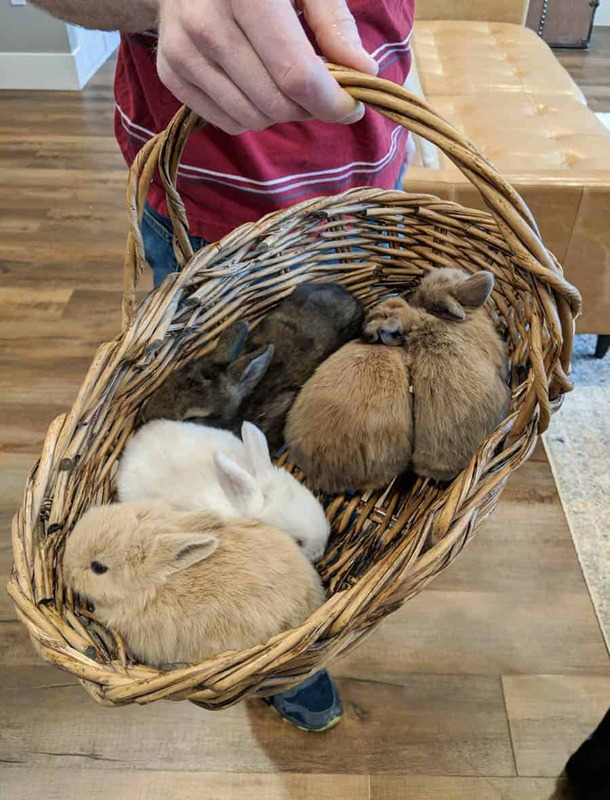 At officially 1 month-old, the bunnies are growing like weeds! We bring them inside daily to play with and pet them so that they are tame pets. It’s working wonderfully so far! What a treat to have around.